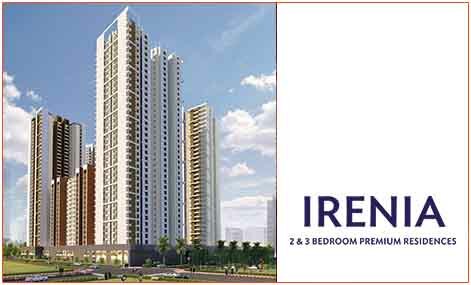 Wave Irenia is situated in the heart of Noida. A massive township outfitted with all modern conveniences ideal for people looking for a lavish living. The majestic venture offers aristocratic 2 and 3 BHK apartments of different sizes like 895 Sq.ft , 985 Sq.ft , 1085 Sq.ft and 1330 Sq.ft. The venture is surrounded by green belt so that the occupant can reside in a tranquil environment amidst the luxuries of city life. The ambiance is mesmerizing along with extensive high streets. All the necessities for daily routine are available at door step. Lead a peaceful and generous lifestyle. Sector 32 Noida 1330 Sq.ft. Sector 32 Noida 1085 Sq.ft. Sector 32 Noida 985 Sq.ft. Sector 32 Noida 895 Sq.ft.